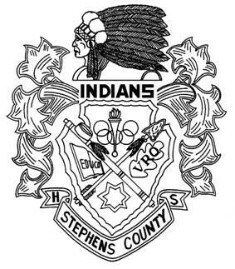 My alma mater Indians scored a 43-37 shootout victory over North Hall last Friday night at The Reservation in Toccoa. With the win, SCHS (7-2, 4-1) emerged as the second seed in Region 8AAA (Division A), trailing only White County's 5-0 mark. Needless to say, this is quite a turnaround from last season’s 3-7 campaign. This coming Friday, the Indians will host the Johnson Knights (2-7, 2-3), the third seed from 8AAA (Division B) in the “play-in” game for both schools. The Knights are coming off of a 41-0 blowout loss to Monroe Area.